So this post is our small contribution to his campaing. Good luck Hexy! Además de actualizarlo, para que refleje las nuevas características de la v0.81.Beta, se han agregado las descripciones completas de los bloques (las cuales hasta ahora estaban sólo disponibles online -en inglés-). No sólo está disponible el PDF, sino también sus fuentes, en formato ODT (de LibreOffice), para que el usuario que lo desee pueda modificarlo, utilizarlo como base para sus actividades de aula, o incluso traducirlo o contribuir de cualquier otra forma a la documentación del proyecto. 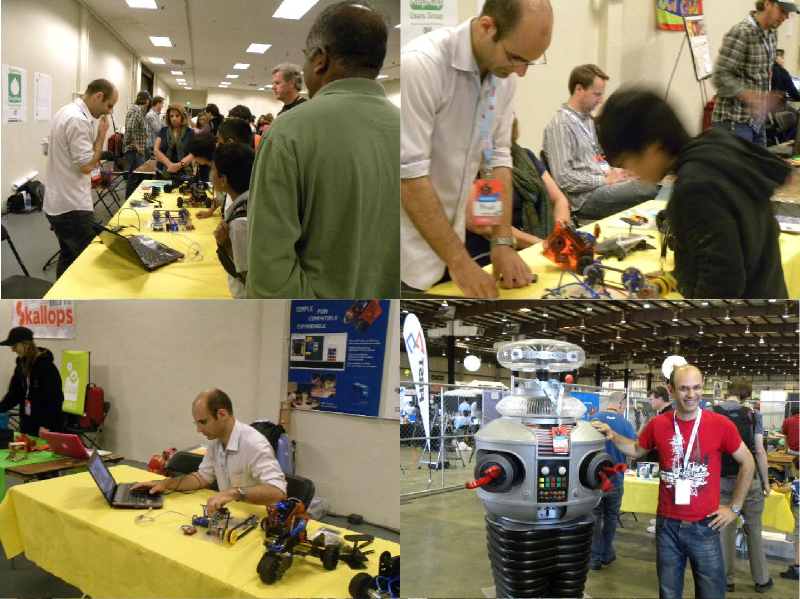 A few days after Rodolfo (from RobotGroup) made some demoing of the upcoming Multiplo robots at the Maker Faire Bay Area, here are some photos! 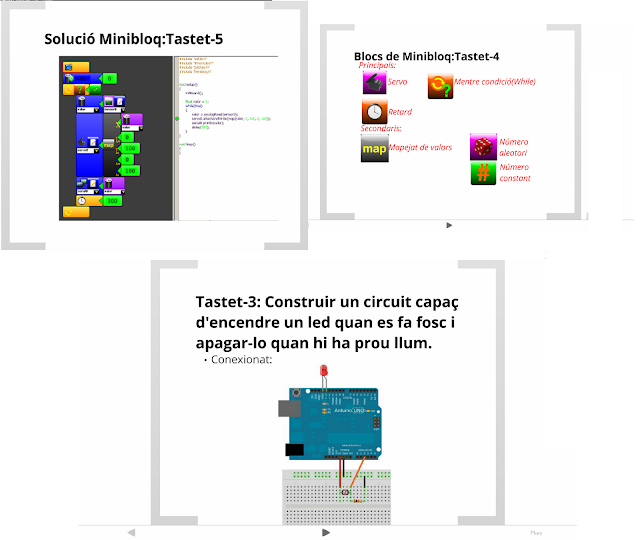 The whole demonstration was programmed using both Minibloq and Arduino. The v0.81 documentation is ready! On line documentation. Everything is up to date now! On line examples. Now the code for all the example is deployed with Minibloq, so no need to download it. There are also contributions from the users, with tips or troubleshooting. You can take a look to this forum thread from Pierre Segura, for example. 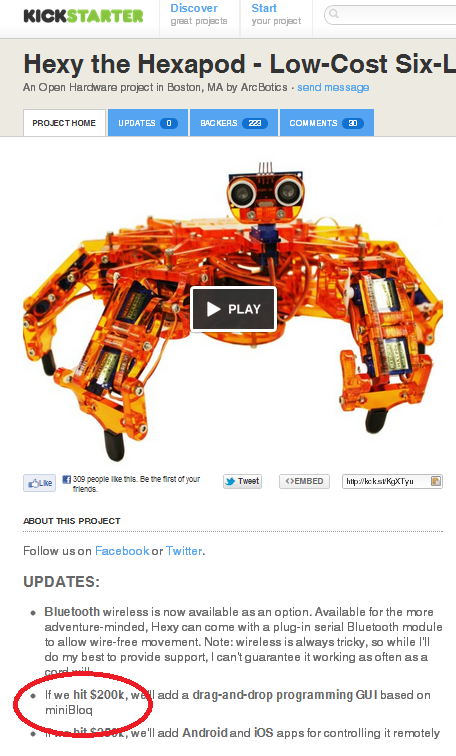 Maker Faire Bay Area: Robots are coming! 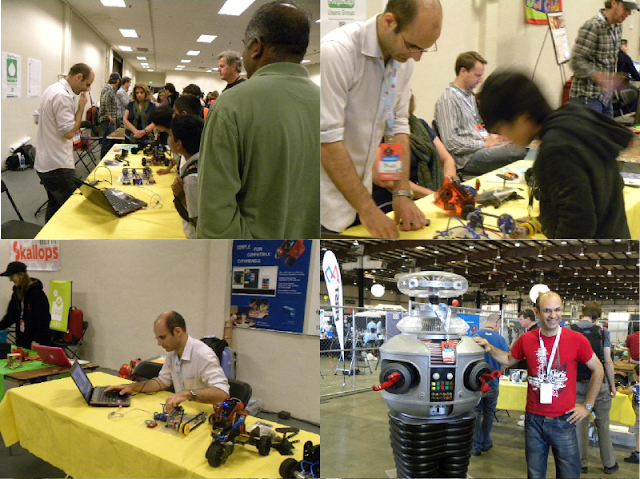 Very few days remains for the Maker Faire Bay Area, and here is a small advance of the new Multiplo robots (the N6.v2.0 and the upcoming N8). Of course, Minibloq will be present there too... Enjoy! In just a week, Rodolfo Cossovich, from RobotGroup China, will be present at Maker Bay Area with some of the latest Multiplo robots. Minibloq will be there also! Por otro lado, queremos a agradecer también a Lucas Martín, de http://www.automatismos-mdq.com.ar por su post acerca de Minibloq.v0.81.Beta. 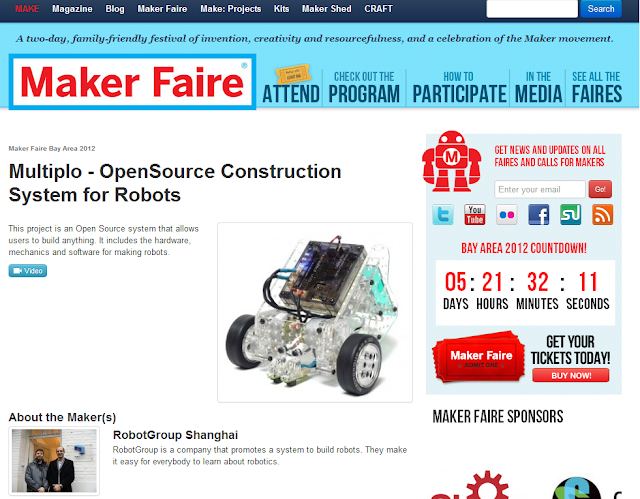 First, The last two posts (http://bit.ly/K3OyND and http://bit.ly/JEQ2Ml) from Bill Griggs at Maker Masters where about Minibloq. Second, I want to say thanks to Jessica Shoemaker from EEWeb, for this interview. You can download it by clicking on the above image, or go to the Downloads page. 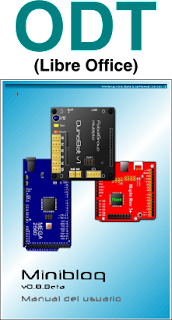 The user can change to other supported language in real time, without reinitializing the application. 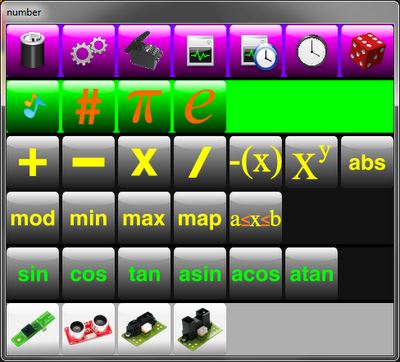 Just pick the desired language from a combobox, and Minibloq reloads all the necessary things. 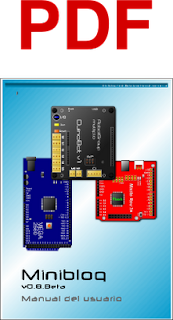 Even more: new language packages can be added without the need of reinitialize the program. Almost everything can be translated: from the menues to the block's tooltips, button captions and even the Help. Everyone can add translations. We used open source tool which really faccilitate the task of translating. Since the i18n was implemented using the standard GNU gettext stuff, it's even possible to do automatic string extraction from the sources. So we hope it will be really easy to contribute to the project with translations. The most important and helpful tool used to translate was Poedit. 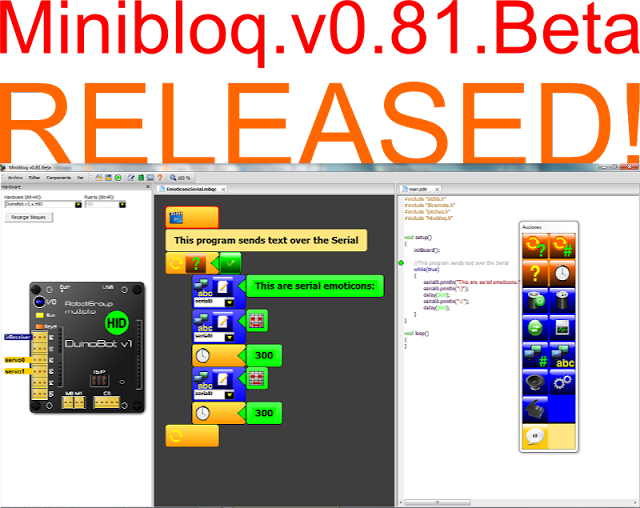 Although Minibloq now features OS's language autodetection, the user is free to manually select other languages.